We live in a world where people become famous vicariously through their children; kind of like reverse nepotism. 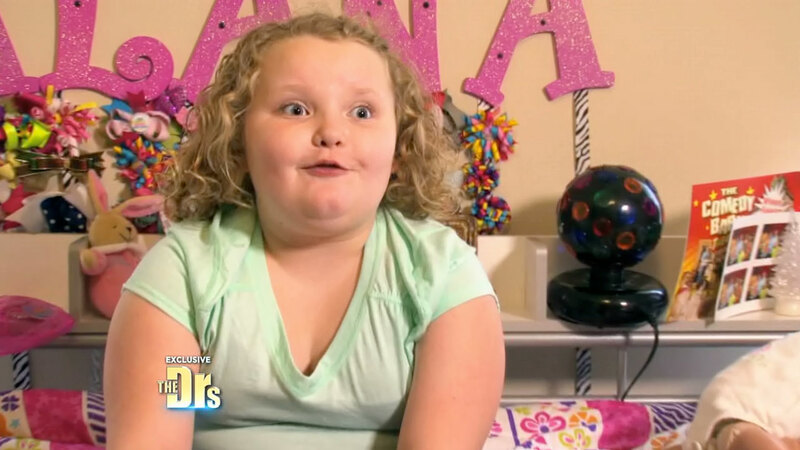 Now we have to pay the price for our obsession with so-called celebrity… and that price has just dropped the season two trailer for yet another Here Comes Honey Boo Boo spin-off, following her formerly obese mother, Mama June. The professional TV mum, who suffers with diabetes, has lost over 300lbs, just in time to film season two of her reality drama show and milk her fame for all it’s worth. Mama June, real name June Shannon, seems comfortable in front of the camera with a newfound confidence and slimmed down physique in the new trailer for season two of her series, Mama June: From Not To Hot. 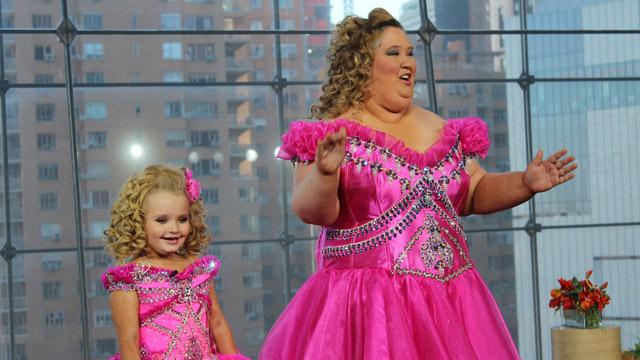 In season two, Mama has set her sights on becoming a pageant queen, and has recruited her 12-year-old daughter Alana ‘Honey Boo Boo’ Thompson – formerly of Toddlers and Tiaras – to coach her. 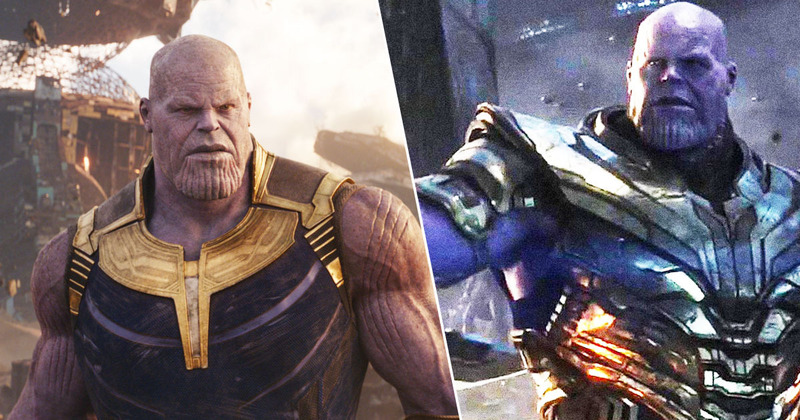 The mum-of-four, from McIntyre, Georgia, admitted she has literally no talent in the trailer, to no one’s surprise. As Alanna warned, ‘You thought Coach Mama June was rough? Wait til you meet Coach Alana’, her mother replied, ‘I’ve been always on the other side of the pageant world, I don’t have any talent’. The trailer teases the trials, tiaras and tribulations of Shannon’s endeavours, filming her training for the physical side of pageants – twirling ribbons in choreographed dances practised in their ginormous kitchen. Fans can also expect some signature family dramatics, from visitation rights with Alana to medical emergencies. She has previously suffered from back problems after a car crash, and her foot was driven over by a forklift when she worked in a factory years ago. ‘Every day is worse and worse and worse and worse,’ Mama explains over a sequence of recent clips of her in a hospital bed. Needless to say, the tumultuous family matters are pretty heart-breaking to watch being commodified in this ‘celebrity’ car-crash TV show. Mama is also looking for love apparently – though still faces trouble with her ex-husband Sugar Bear and his new wife, Jennifer, who both want to see Sugar’s daughter, Alana. 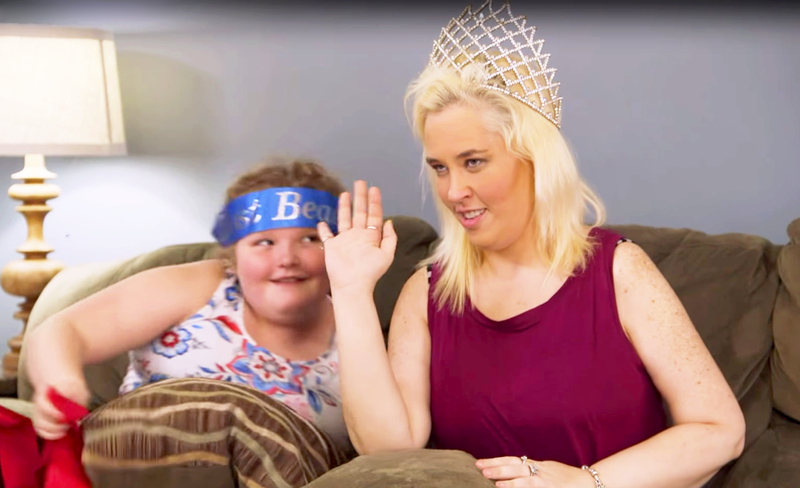 The spin-off comes almost a decade after Mama June made headlines for feeding her young daughter so-called Go Go Juice – part Red Bull, part Mountain Dew – to help the youngster to compete in high-energy pageants as a child. Let’s hope Mama June’s admittedly admirable seven month body transformation has coincided with a newfound understanding of healthy nutrition for herself and her family. For some unbeknown reason, June had previously started a cooking show where she taught viewers how to make cabbage soup and ‘sketti’, which is just mix butter, ketchup and noodles. Let’s be honest, it’s no Nigella recipe – but watching the antics of this televised family unfold is entertaining enough to keep them tv shows, apparently. So, like it or not, we’re stuck with sketti. 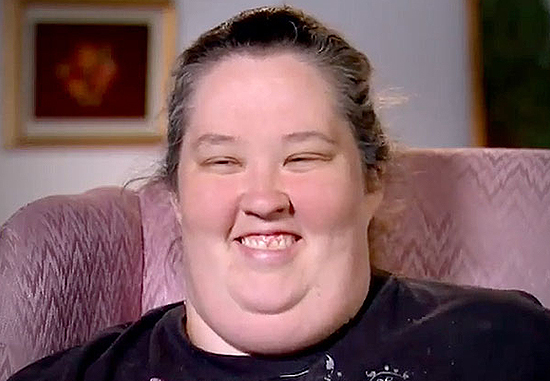 Season two of Mama June: From Not To Hot will also explore 17-year-old Pumpkin’s pregnancy. It will premiere on WEtv on January 12 2018.